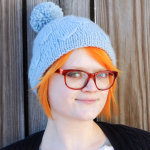 Looking for a giftable pattern that knits up in just a few hours? 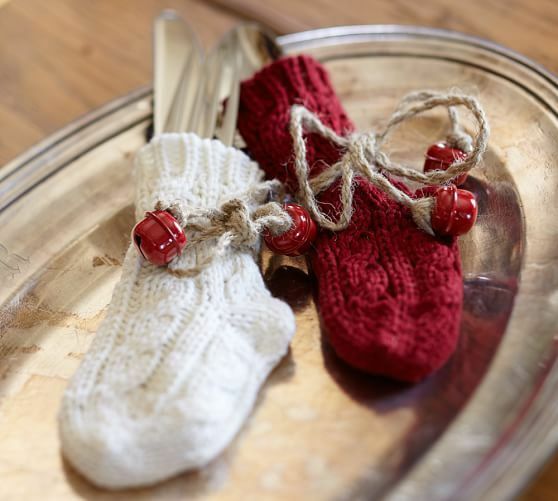 These mini stockings can be used as ornaments, baby booties, a garland, a gift topper or even as part of a table setting, like the flatware stockings below from Pottery Barn. 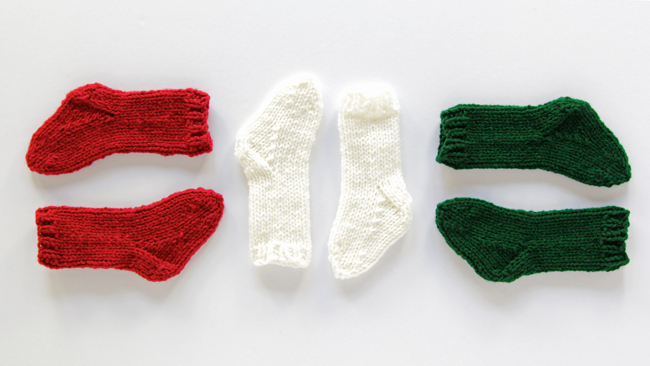 Knit in under 60 short rounds, they knit up super fast and are the ideal knitting project for this time of year! Place half of the CO sts (10 sts) on one needle, or on one end of your circular needle if you’re using those. Using just those 10 sts, work the following. Break yarn. 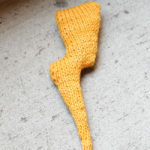 Using a tapestry needle, draw tail through remaining loops and weave in ends to finish. These are so cute! I love the idea of a garland made with them! Need to go through and do so e stash busting, I think! Love this idea! They are so cute. LOOOOOVE. 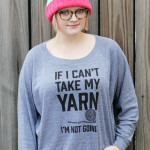 I wish I wasn’t such a slow knitter! maybe I can get a couple done before Xmas. 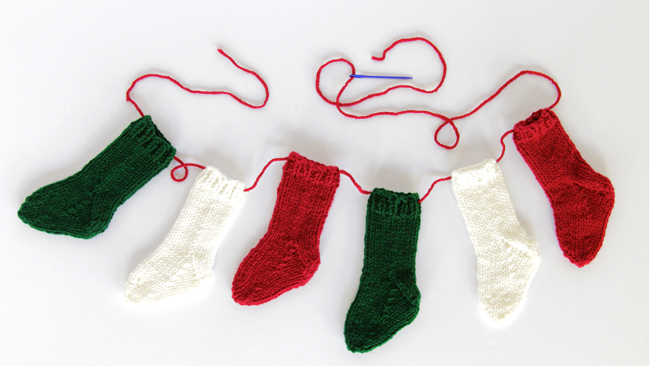 I am not the fastest knitter either, but by sock 6, I was getting them done in 90 minutes to about 2 hours, depending. I feel like there must be a thing where you can calculate your stitches per minute like you calculate typing speed. If I wasn’t swamped right now, I’d google it, haha! Every time I try to knit row 53, I can’t figure out what I am doing wrong. My round ends with two stitches left on my needle. Is that right? Do I not finish the round? 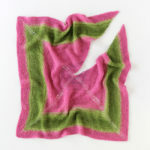 Counting the stitches in your directions, it seems there are only 14 stitches instead of 16. Does that make sense? 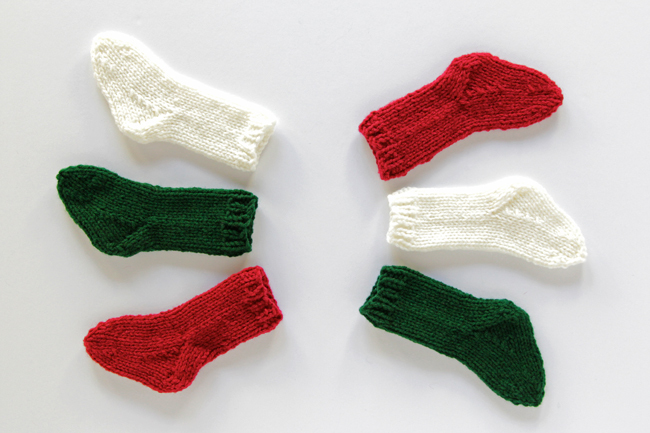 I have not knit socks enough to know what I should do, but I know the whole round should be knit. Oh Heather! Thank you – that’s an error on my part. Thanks again for catching that! I’ve just updated the post to fix it! It’s a short row heel turn, so you don’t work all of the stitches in the row. 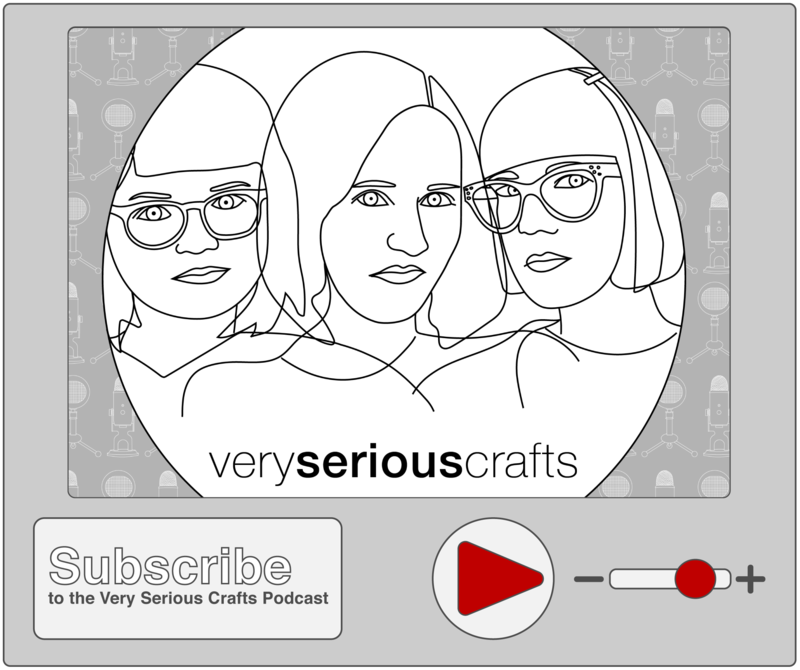 This post has some tips and tricks for working a short row heel turn.